Need assistance with dental diagnostic imaging services? The term Laser is an acronym for“Light Amplification by Stimulated Emission of Radiation.” With its advancements in medicine and dentistry, laser is playing a significant role in patient care and wellbeing. Laser dentistry involves removing or altering hard or soft tissues to provide patients with precision treatment and at the same time minimizing pain and recovery time. 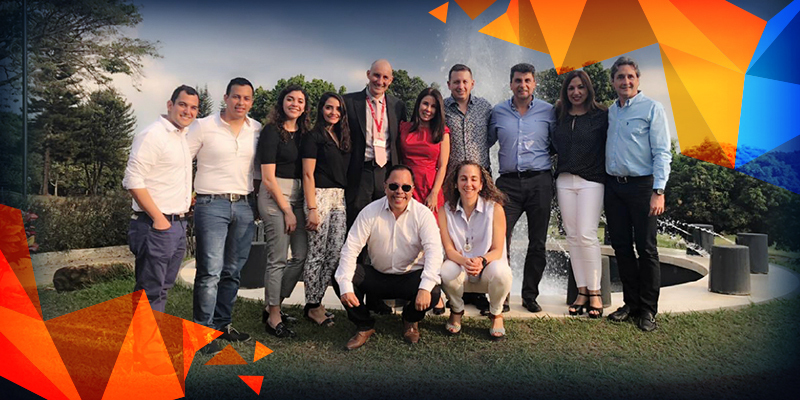 Dr. Francisco Eraso, Orthodontist and Oral and Maxillofacial Radiologists at BeamReaders went to Colombia in early February this year to pursue a course in Laser Dentistry. He describes the types of lasers used in dentistry, the therapeutic benefits and surgical applications of dental lasers. Please briefly explain how does laser dentistry work? Dental professionals use lasers that are high-energy light beams to perform dental procedures with precision without damaging surrounding tissues. Lasers are easy to control and help dentists to painlessly remove overgrown tissue, reshape gums or whiten teeth. The intense beam of light energy cauterizes as it works, thus minimizing blood loss, recovery time and the need to take pain relief medications. Can you please describe the types of lasers commonly used in dentistry? Also, what are their applications? 1. Soft tissue lasers – These lasers are primarily used for cutting into soft tissues like gum and sealing the exposed blood vessels simultaneously. Thus, you don’t bleed much during the procedure and the healing process is also quicker. 2. Hard tissue lasers – These lasers are ideal for cutting into teeth and removing small amounts for the purpose of shaping them or prepare them for further dental procedures. What is therapeutic laser therapy? In which cases can it be applied to dentistry? Therapeutic laser therapy is the application of infrared wavelength light to encourage healing of injured tissues, stimulate blood flow, and reduce the bacteria in the affected area. What are the surgical applications of dental lasers? Why is laser dentistry preferred over other treatment methods? The need for sutures is less likely in soft tissue laser procedures. It promotes blood clotting, minimizing bleeding in laser-treated soft tissues. Anesthesia may not be required in many procedures. Laser sterilizes the area being worked on, preventing bacterial infections. Laser allows precision and causes less damage to the surrounding tissues. It optimizes healing process by allowing tissue regeneration. What insights did the course give you for your role as an OMR? I realize that we are the base for everything as radiologists; we give the clinicians the foundation for diagnosis and the tools for clinical validations and follow-ups.We are in the best place in dentistry!!!! The latest news and insights from BeamReaders, delivered straight to your inbox. Select from instant notifications or a daily, weekly, or monthly summary.